The Tuesday bird walk went to Deep Bay. The morning started out cloudy and calm, but soon turned cold and rainy with strong biting winds off the Strait of Georgia. 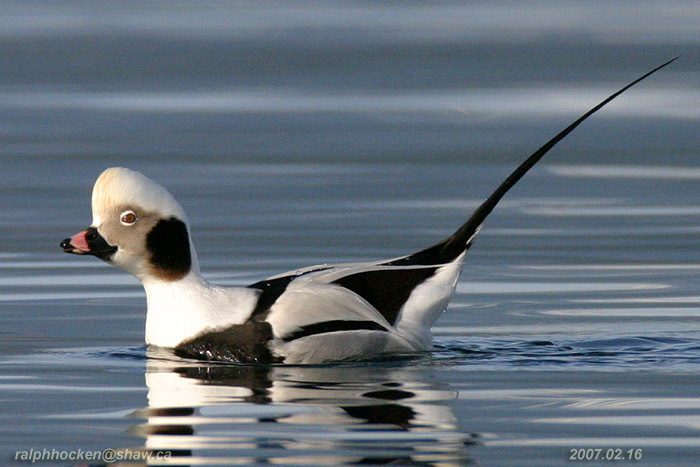 Long-tailed Ducks are the highlight of our trip up to Deep Bay every year and we were not disappointed this year. We were treated with the sighting of four male and three female Long-tailed Ducks just offshore at the point. We saw several Varied Thrush on the Arbutus Trees near the parking area. We watched as two Pigeon Guillemot played hide and seek with us in the waves. Following the bird walk, Bob took us on an interesting tour of the Nile Creek Fish Hatchery. Twenty-five Common Redpolls were seen flying over Vancouver Island University in Nanaimo. The Common Redpolls are usually found in northern Canada. This the first report of the Redpolls for a number of years in the Central Vancouver Island. 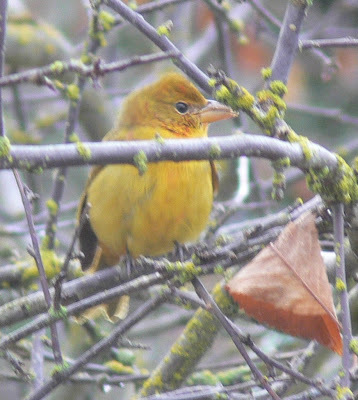 A Summer Tanager was seen and photographed at about 10 a.m. on Saturday, November 19 in the backyard of a private residence in the French Creek area (the owners request that their location be kept private). The bird was last seen on Friday November 25. Check birdfeeders, fruit trees and berry bushes in the French Creek/Columbia Beach area. The Summer Tanager is usually found in the southern United States, Central and South America, with only a few records of sightings in British Columbia. A Snowy Owl was seen at the Nanaimo River Estuary in South Nanaimo. A McGillivray’s Warbler was seen along Admiral Tryon Blvd. in Columbia Beach. A White-throated Sparrow was seen along Bluebell Terrace in the Hospital area of Nanaimo. A Turkey Vulture was seen being attacked by a Common Raven and a Bald Eagle over Highway 19, between Jinglepot Road and Fifth Street in south Nanaimo. Tuesday, November 22: The Tuesday bird walk went to Columbia Beach. The morning was sunny and warm with calm winds, making for a great morning of birding. The highlights included seeing three Black-bellied Plover, several Black Oystercatcher, one Greater Yellowlegs, ten Black Turnstones and a large flock of Western Sandpipers on the gravel bar near Pebble Beach. Seven Eurasian-collared Doves were perched on trees along the road. We saw a large number of White-crowned Sparrows and Golden-crowned Sparrows near the end of the walk. Twelve birders saw and heard the following forty-three species. Canada Geese, American Wigeon, Mallard, Harlequin Duck, Surf Scoter, White-winged Scoter, Long-tailed Duck, Bufflehead, Common Goldeneye, Common Merganser, Pacific Loon, Common Loon, Horned Grebe, Red-necked Grebe, Double-crested Cormorant, Pelagic Cormorant, Great Blue Heron, Bald Eagle, Black-bellied Plover, Black Oystercatcher, Greater Yellowlegs, Black Turnstone, Western Sandpiper, Bonaparte's Gull, Mew Gull, California Gull, Thayer's Gull, Glaucous-winged Gull, Eurasian-collared Dove, Belted Kingfisher, Northern Flicker, Northwestern Crow, Chestnut-backed Chickadee, American Robin, Spotted Towhee, Fox Sparrow, Song Sparrow, White-crowned Sparrow, Golden-crowned Sparrow, Dark-eyed Junco, Purple Finch, House Finch and House Sparrow. Monday, December 12 at 5:30 pm. Speaker: Anne Sifon a falconer will talk about and demonstrate Eddie-the Bald Eagle. 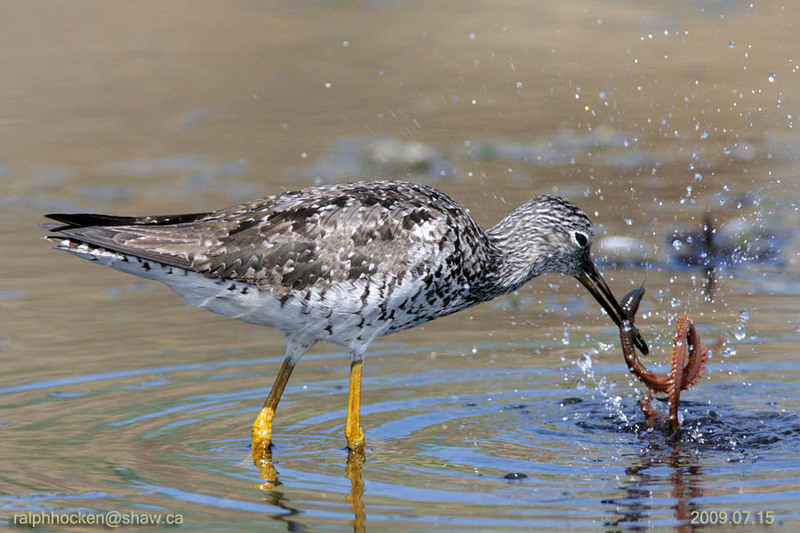 The Tuesday Bird Walk on November 29 will be going to Deep Bay. We will meet at Parksville Community Park at the parking lot near the Lions Playground at 9:00 A.M. or at the parking area at the Deep Bay Marina, at about 9:35 A.M. 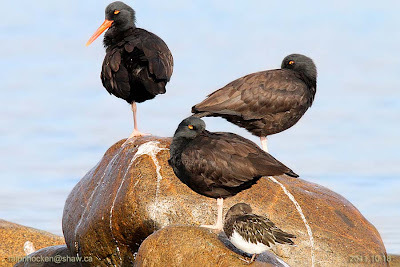 The Sunday Bird Walk on December 04 will be going the Shelly Road side of the Englishman River Estuary in Parksville. We will meet at the Birdstore at 9:00 A.M. or at the end of Shelly Road (on the Oceanside off highway 19a) at about 9:30 A.M.
Will be held on Wednesday December 28th, 2011. Organizers are looking for as many backyard feeders counter and field observers as possible. The Tuesday bird walk went to Columbia Beach. The morning was sunny and warm with calm winds, making for a great morning of birding. The highlights included seeing three Black-bellied Plover, several Black Oystercatcher, one Greater Yellowlegs, ten Black Turnstones and a large flock of Western Sandpipers on the gravel bar near Pebble Beach. Seven Eurasian-collared Doves were perched on trees along the road. We saw a large number of White-crowned Sparrows and Golden-crowned Sparrows near the end of the walk. The Tuesday Bird Walk on November 29,2011 will be going to Deep Bay. We will meet at Parksville Community Park at the parking lot near the Lions Playground at 9:00 A.M. or at the parking area at the Deep Bay Marina at about 9:35A.M. 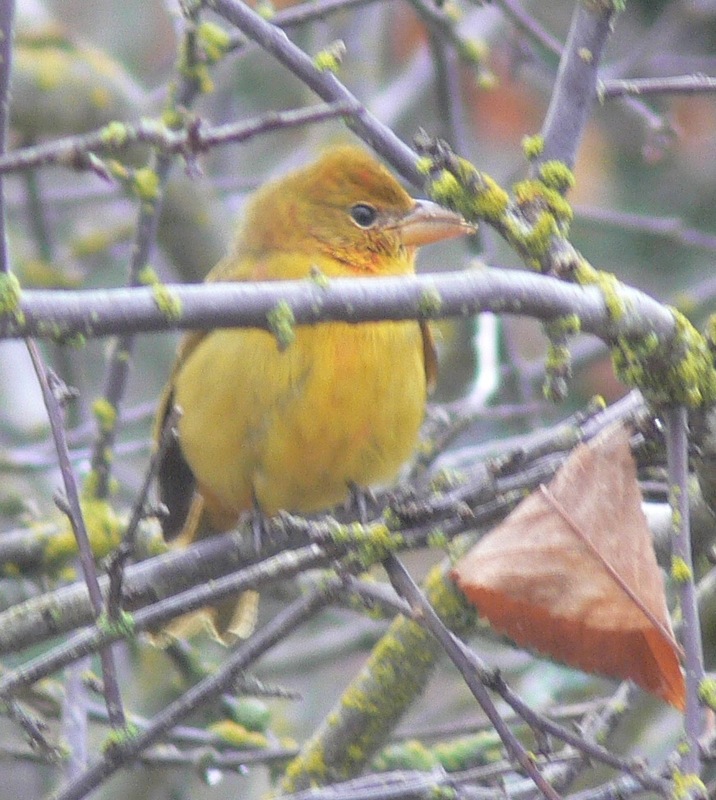 A Summer Tanager was seen and photographed at about 10 a.m.on Saturday, November 19 in the backyard of a private residence in the French Creek area ( the owners request that their location be kept private). The bird was not seen on Monday, but has been seen today Tuesday, November 22. Check birdfeeders, fruit trees and berry bushes in the French Creek area. We are happy to report that Allan Hutley has returned home to recover after time spent in hospital in Victoria. Look forward to having you join us on the bird walk soon, Allan. 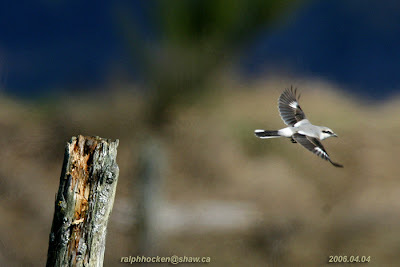 The Sunday bird walk went to Nanoose Bay. The morning was clear and cool with a strong biting wind off the Strait of Georgia. The highlights included seeing a Northern Shrike, two Eurasian Wigeon, a Thayer’s Gull and a Herring Gull. Canada Goose, Trumpeter Swan, American Wigeon, Eurasian Wigeon, Green-winged Teal, Surf Scoter, White-winged Scoter, Bufflehead, Common Goldeneye, Common Merganser, Mallard, Northern Pintail, Red-breasted Merganser, Killdeer, Black Oystercatchers, California Quail, Pacific Loon, Common Loon, Horned Grebe, Red-necked Grebe, Double-crested Cormorant, Pelagic Cormorant, Great Blue Heron, Bald Eagle, Northern Shrike, Mew Gull, Herring Gull, Thayer's Gull, Glaucous-winged Gull, Northwestern Crow, Common Raven, European Starling, Bewick’s Wren, Spotted Towhee, Song Sparrow, Fox Sparrow, White-crowned Sparrow, Golden-crowned Sparrow, Purple Finch, Dark-eyed Junco and Pine Siskin. Two Barred Owls were heard calling in a backyard along Metral Drive near Pleasant Valley School. An Anna’s Hummingbird was seen at Neck Point Park. Six Trumpeter Swans were seen flying over Cedar Road, south of Nanaimo. The Tuesday bird walk went to the Shelly Road side of the Englishman River Estuary in Parksville. The morning was sunny and clear but very cool with calm winds. The highlights included seeing two Eurasian Wigeon, near the shore. A Red-tailed Hawk was seen perched in a tall conifer tree across the River. Four Western Meadowlarks flew into a tree giving us great looks. A Peregrine Falcon was perched at the top of a tall tree on the edge of the forest. We spotted a Northern Shrike perched at the top of a small bush on the meadows. The big surprise of the morning was the sighting of a Townsend's Warbler near the end of the walk. Golden-crowned Kinglet, Ruby-crowned Kinglet, American Robin, Varied Thrush, European Starling, Townsend's Warbler, Spotted Towhee, Fox Sparrow, Song Sparrow, Lincoln's Sparrow, Golden-crowned Sparrow, Dark-eyed Junco, Western Meadowlark, Purple Finch, House Finch and Pine Siskin. A large flock of Surfbirds being chased by a Peregrine Falcon were seen at Neck Point Park in Nanaimo. A Pacific Wren and a Ruby-Crowned Kinglet were spotted in a backyard at Whiskey Greek. Thursday, December 08 at 7 pm. The Tuesday Bird Walk on November 15 will be going to Columbia Beach. We will meet at Parksville Community Park at the parking lot near the Lions Playground at 9:00 A.M. or at the parking area off Admiral Tryon Blvd. at about 9:20A.M. 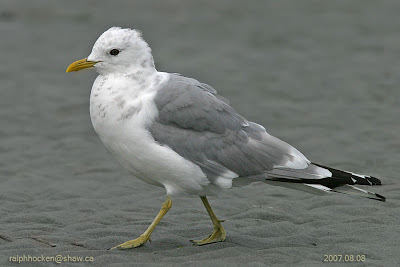 The Sunday Bird Walk on November 27 will be going the Shelly Road side of the Englishman River Estuary in Parksville. We will meet at the Birdstore at 9:00 A.M. or at the end of Shelly Road (on the Oceanside off highway 19a) at about 9:30 A.M. The Tuesday bird walk went to the Shelly Road side of the Englishman River Estuary in Parksville. The morning was sunny and clear but very cool with calm winds. The highlights included seeing two Eurasian Wigeon, near the shore. A Red-tailed Hawk was seen perched in a tall conifer tree across the River. Four Western Meadowlarks flew into a tree giving us great looks. A Peregrine Falcon was perched at the top of a tall tree on the edge of the forest. We spotted a Northern Shrike perched at the top of a small bush on the meadows. 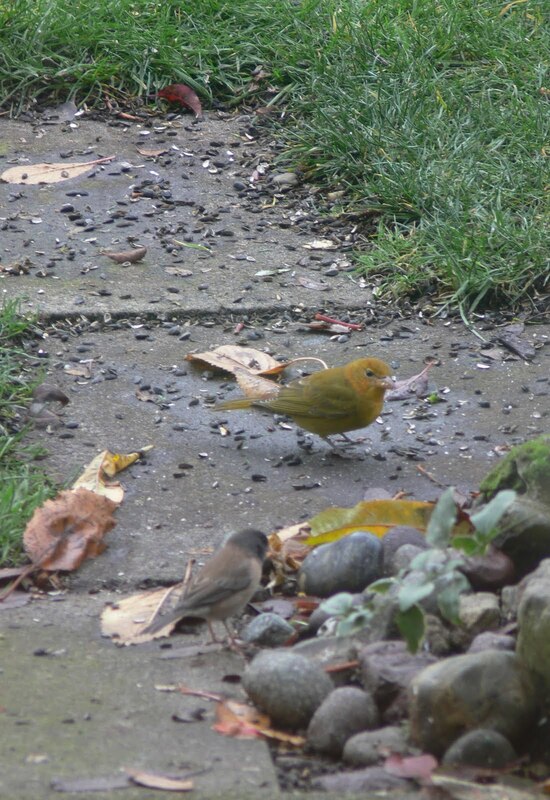 The big suprise of the morning was the sighting of a Townsend's Warbler near the end of the walk. The Sunday bird walk went to the Nanaimo River Estuary in south Nanaimo. The morning was cloudy and cool but the winds were calm. The highlights included seeing at least twelve Western Meadowlarks. We watched as a Common Raven chased after a Short-eared Owl giving us a spectacular display as the owl evaded the Raven. 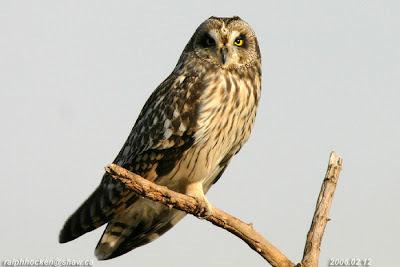 Later in the walk, we saw another Short-eared Owl fly low over the estuary looking for prey. A Northern Shrike perched on the top of a bush giving us great looks. Trumpeter Swan, Great Blue Heron, American Wigeon, Mallard, Green-winged Teal, Northern Pintail, Barrow's Goldeneye, Common Goldeneye, Bufflehead, Hooded Merganser, Common Merganser, Horned Grebe, Bald Eagle, Short-eared Owl, Northern Shrike, Thayer’s Gull, Mew Gull, California Gull, Glaucous-winged Gull, Belted Kingfisher, Northern Flicker, Common Raven, American Robin, Western Meadowlark, European Starling, Spotted Towhee, Song Sparrow, Fox Sparrow, Lincolns Sparrow, Golden-crowned Sparrow, Dark-eyed Junco, House Finch, Purple Finch and Red-winged Blackbird. Over thirty Trumpeter Swans were spotted flying south over Errington. A Snowy Owl was seen near Taylor Bay Road and Twin Beaches Peninsula on Gabriola Island. The Tuesday bird walk went to the Plummer Road side of the Englishman River Estuary. The morning was cloudy with a light rain falling but the winds were calm. 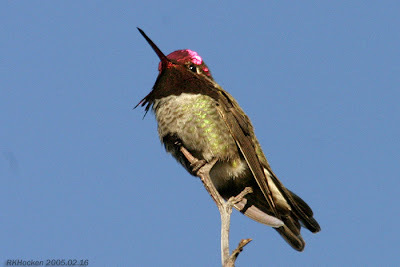 We saw large numbers of Purple Finch, Dark-eyed Junco and one Anna's Hummingbird in the bushes just off the trail. We spotted a Merlin perched high in a conifer and there was a Sharp-shinned Hawk perched high in another conifer further away. Another Sharp-shinned Hawk flew in to attack a perched, much larger, Cooper's Hawk not far from us. The Cooper's Hawk, however, stood his ground and the Sharp-shinned Hawk flew off and perched a little further away. Several Horned Grebes, one Western Grebe, a Double-crested Cormorant and four Common Goldeneye were on the Strait Of Georgia. Six Long-tailed Ducks flew in and joined the other seabirds. Two Bald Eagles flew in to stir things up and thousands of gulls lifted off the water. We saw two Long-billed Dowitchers and a Western Sandpiper in with a flock of sixty Green-winged Teal on the mud flats. American Wigeon, Mallard, Northern Pintail, Green-winged Teal, Greater Scaup, Harlequin Duck, Surf Scoter, White-winged Scoter, Long-tailed Duck, Bufflehead, Common Goldeneye, Hooded Merganser, Common Merganser, Red-breasted Merganser, Ring-necked Pheasant, Pacific Loon, Common Loon, Horned Grebe, Western Grebe, Double-crested Cormorant, Great Blue Heron, Bald Eagle, Sharp-shinned Hawk, Cooper's Hawk, Merlin, Western Sandpiper, Long-billed Dowitcher, Bonaparte's Gull, Mew Gull, California Gull, Thayer's Gull, Glaucous-winged Gull, Anna's Hummingbird, Northern Flicker, Common Raven, Northwestern Crow, Chestnut-backed Chickadee, Golden-crowned Kinglet, American Robin, Varied Thrush, European Starling, Spotted Towhee, Fox Sparrow, Song Sparrow, Golden-crowned Sparrow, Dark-eyed Junco, Red-winged Blackbird, Purple Finch and House Finch. A flock of Greater White-fronted Geese were seen flying over Buttertubs Marsh in Nanaimo. Two Trumpeter Swans were seen on Craig Bay off Madonna Road in Parksville. The Tuesday Bird Walk on November 15 will be going to the Shelly Road side of the Englishman River Estuary in Parksville. We will meet at Parksville Community Park at the parking lot near the Lions Playground at 9:00 A.M. or at the end of Shelly Road (Oceanside side of Highway 19A) in Parksville at about 9:10A.M. The Sunday Bird Walk on November 20 will be going to Nanoose Bay. We will meet at the Birdstore at 9:00 A.M. or at the beach side of the Church Camp (off highway 19 and Arlington Road) at about 9:20 A.M.
Organizers are looking for as many backyard feeders counter and field observes as possible. Anyone who is interested in participating please contact the Birdstore for more information. The Sunday bird walk went to Neck Point Park in Nanaimo. The morning was cloudy and cool with a biting wind off the Strait of Georgia. The highlights included seeing a flock of Pacific Loons off shore. We saw several Common Loons, Bufflehead, Red-necked Grebes and a Horned Grebe close to shore. A large flock of Pine Siskins, a Red-breasted Sapsucker and a flock of Bushtits were seen in the forest. Mallard, Pacific Loon, Common Loon, Double-crested Cormorant, Pelagic Cormorant, Bufflehead, Surf Scoter, Harlequin Duck, Red-necked Grebe, Horned Grebe, Common Merganser, Red-breasted Merganser, Great Blue Heron, Black Oystercatcher, Bald Eagle, Mew Gull, Glaucous-winged Gull, California Quail, Northwestern Crow, Belted Kingfisher, Anna’s Hummingbird, Northern Flicker, Red-breasted Sapsucker, European Starling, Chestnut-backed Chickadee, Red-breasted Nuthatch, Bushtit, Brown Creeper, Pacific Wren, Bewick’s Wren, Ruby-crowned Kinglet, Golden-crowned Kinglet, American Robin, Varied Thrush, Spotted Towhee, Dark-eyed Junco, House Finch, Song Sparrow, Red Crossbill and Pine Siskin. Eight Trumpeter Swans were spotted flying south, south east above Parksville. A Fox Sparrow was heard singing and a flock of California Quail were visiting feeders at the Pacific Biological Station in the 3100 block of Hammond Bay Road in Nanaimo. The Tuesday bird walk went to the Little Qualicum River Estuary in Qualicum Beach. The morning was clear and cool with calm winds. The tide was high. 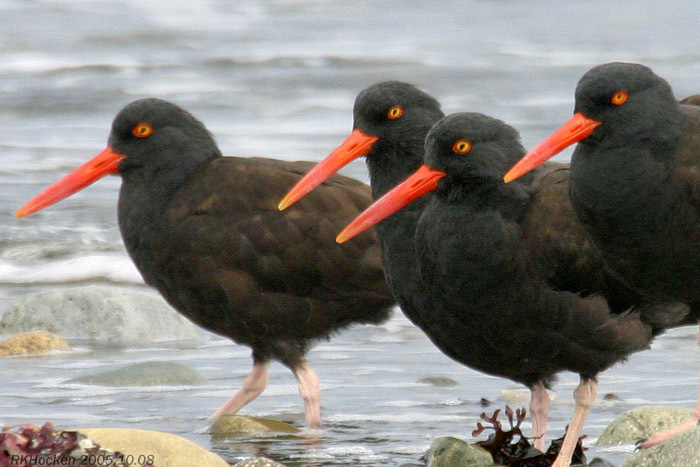 A flock of twenty-one Black Oystercatchers flew in and landed on the rocks right in front of us at the viewing platform off Highway 19A. A massive raft of gulls was further off shore. A raft of Black Scoters was on the ocean near the estuary and further off shore we spotted a flock of Long-tailed Ducks that flew in and landed giving us great views. There was a large flock of Bonaparte's Gulls near shore, one of them was still in breeding plumage. A flock of twenty-three singing Trumpeter Swans flew in low over the mouth of the river. They went past us giving us excellent views. We saw over thirty Bald Eagles perched, flying and circling high overhead during the morning. A female Northern Harrier flew low over the estuary, while eight Great Blue Herons lifted from the estuary at the end of the walk. Canada Geese, Trumpeter Swan, American Wigeon, Mallard, Green-winged Teal, Greater Scaup, Harlequin Duck, Surf Scoter, White-winged Scoter, Black Scoter, Long-tailed Duck, Bufflehead, Barrow's Goldeneye, Common Merganser, Red-breasted Merganser, Pacific Loon, Common Loon, Horned Grebe, Red-necked Grebe, Double-crested Cormorant, Great Blue Heron,Bald Eagle, Northern Harrier, Black-bellied Plover, Killdeer, Black Oystercatcher, Black Turnstone, Bonaparte's Gull, Mew Gull, California Gull,Herring Gull, Thayer's Gull, Glaucous-winged Gull, Belted Kingfisher, Northern Flicker, Steller's Jay, Northwestern Crow, Song Sparrow, Dark-eyed Junco and Red-winged Blackbird. The Tuesday Bird Walk on November 08 will be going to the Plummer Road side of the Englishman River Estuary in Parksville. We will meet at Parksville Community Park at the parking lot near the Lions Playground at 9:00 A.M. or at the corner of Plummer Road and Shorewood Drive in Parksville at about 9:10A.M. The Sunday Bird Walk on November 13 will be going to the Nanaimo River Estuary in Nanaimo. We will meet at the Birdstore at 9:00 A.M. or at the end of Raines Road at about 9:30 A.M. The Tuesday bird walk went to the Little Qualicum River Estuary in Qualicum Beach. The morning was clear and cool with calm winds. The tide was high. A flock of twenty-one Black Oystercatchers flew in and landed on the rocks right in front of us at the viewing platform off Highway 19A. A massive raft of gulls were further off shore. A raft of Black Scoters was on the ocean near the estuary and further off shore we spotted a flock of Long-tailed Ducks that flew in and landed giving us great views. There was a large flock of Bonaparte's Gulls near shore, one of them was still in breeding plumage. A flock of twenty-three singing Trumpeter Swans flew in low over the mouth of the river. They went past us giving us excellent views. We saw over thirty Bald Eagles perched, flying and circling high overhead during the morning. A female Northern Harrier flew low over the estuary, while eight Great Blue Herons lifted from the estuary at the end of the walk.